Our Tan Crochet Maxi Dress with Open Back is perfect! Perfect for any special occasion! We love its beautiful flowy skirt, crochet detail and open back. Makes a perfect bridesmaid dress! 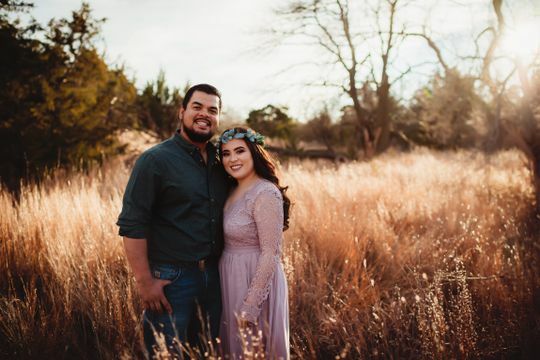 I ordered a size L, i noticed that in the pictures it was more light mauve then tan (which is what I wanted) so it was perfect for my engagement pictures! Loved it! But more mauve then tan. 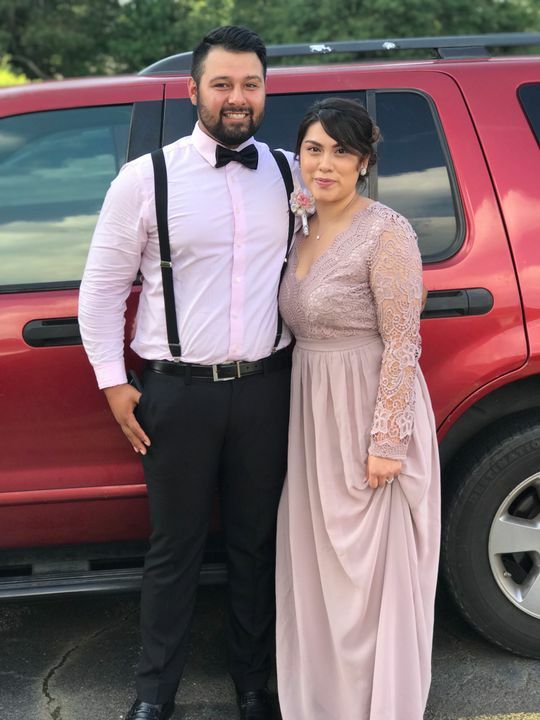 I absolutely loved the dress, it fit very well! It fits well and is so gorgeous. It is perfect for my elopement! Great quality for a great price & tons of compliments! 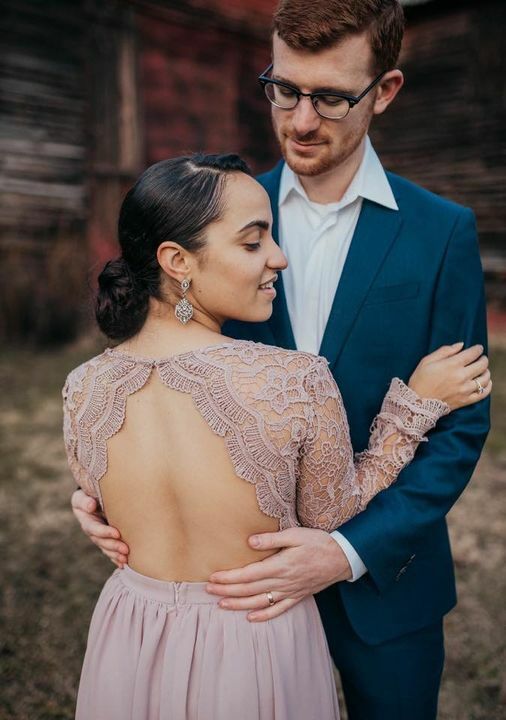 I ordered this dress to take Anniversary photos with my husband. This was my first order with Saved by the dress so I was a little worried about the quality and I’m so happy I ordered based on other reviews! The dress was beautifully made and the quality was great. 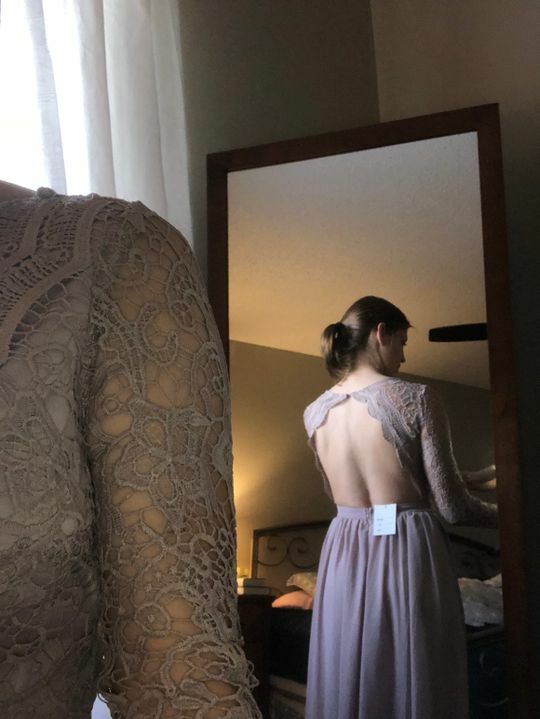 The back totally makes this dress. Someone even asked if it was a bridesmaid dress and I thought wow I definitely should have gotten them here. My only issue was that the dress was pretty long. I had to hem it myself but I’m also 5’1” so that’s not out of the norm for me. I loved the detail and look of this dress, only downfall is that I have a shorter torso so the dress didn’t fit as nicely as the models did. But it was comfortable fabric and it is so beautiful!